If you’ve ever plucked a string that’s got a tiny bit of fluff, fuzz, or even dirt on it, you’ll know how big a difference such a small thing can make in the way the string sounds. 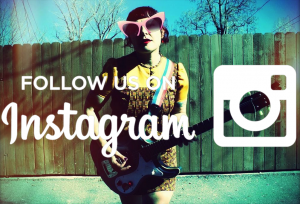 The way you pluck the strings, the way you fret the strings, and what you use to pluck the strings also play a part in how the guitar ultimately sounds. 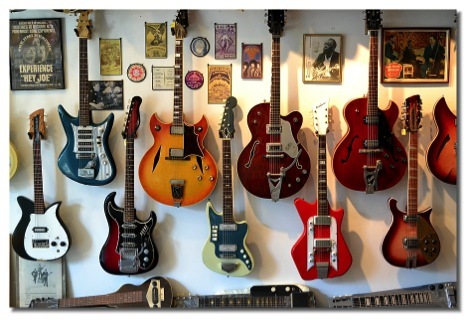 There’s one thing that all of these have in common, from a piece of fluff to the material your pick is made out of; they all make contact with the strings. Now, these are all things that are easily noticed and rather simple to change. You can remove fluff, you can use a different pick, and you can practise a different playing style. Some things, however, go unnoticed and can be simply “accepted” for the way they are. Each string is wrapped around a machine head, where it then goes to lay on a nut. When you fret a note, you are pushing the string down so it makes contact with a piece of metal fret wire. 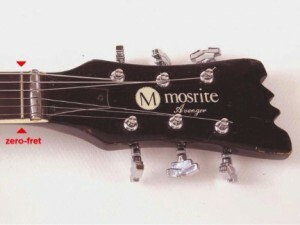 At the body of the guitar is a saddle that cradles the string before reaching its ball end where it is held in place. The most important part about sounding good is playing in tune. While falling out of tune isn’t always a fault of the machine heads, they’re definitely a main contributor. Proper stringing methods combined with a good quality set of pegs is the best way to keep a guitar in tune, and taking it a step further would be to invest in a set of locking tuners. Apart from tuning stability, you may actually notice a tonal difference from a tuning peg that is built better than another. A peg that is well made will have all of its inside components fit securely, and the mechanism will operate smoothly. Tight fitting, well-built parts make for a much smaller risk of rattling noise, and transference of vibrations from the string to the wood will be superior. 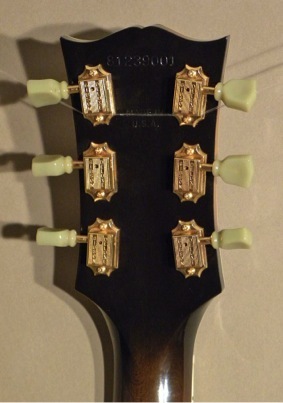 Plastic heads on the tuners definitely add a cool look and vintage vibe to the guitar, but over time these can be notorious for breaking and crumbling off of their posts. To me, that’s a little too much vintage vibe. If you’re set on going the non-metal route, be sure to go with a good quality reputable brand – but even then don’t expect them to last forever. After the machine head, this is the first place the string rests on the guitar. A good nut is one that is made of a high quality material, and is cut to the right size. 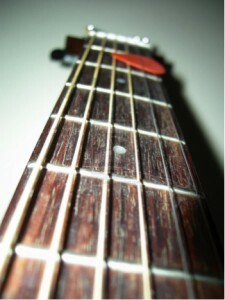 You don’t want your strings to be lying on the first fret, or too far away from it. 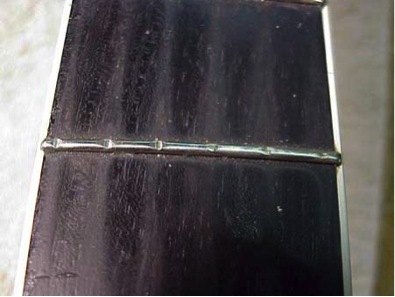 Nut slots that are not filed properly can cause fret buzz, make it too hard to play, or even cause strings to slip / get caught resulting in tuning problems. The idea is to use a hard material that won’t decay or chip under string tension, while still being something reasonably easy to cut into shape. A solid choice for good nut material would be bone. Many players agree that a bone nut yields the best sound compared to others, and luthiers are happy because it is relatively easier to work with than some of the other options. Synthetic materials exist that have been manufactured to mimic bone density like TusQ, and as such behave similarly. Other materials you can use are metal, graphite, wood, and ebony. Graphite is a good choice for instruments with tremolo systems, as it allows the string to move a little more freely. Using a pencil to draw into the nut slots of a non-graphite nut is a trick you can use to simulate that benefit. 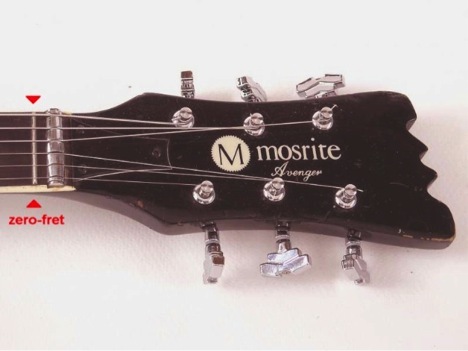 Keep in mind that when you fret a note, you are effectively cutting off the string between your finger and the nut. 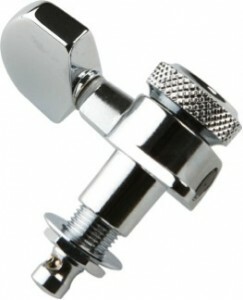 Therefore, the effect that the nut material has on your overall tone is minimal compared to the effect it has on open notes. Some guitars come with a “zero fret” installed which was originally intended for quick instrument production. It’s far easier to file the nut down far enough for the strings to simply rest on the zero fret than it is to get the string height at the nut right without a zero fret. Perhaps a side effect of this style is that the zero fret may equalize the tone from your open notes with that of your fretted notes. 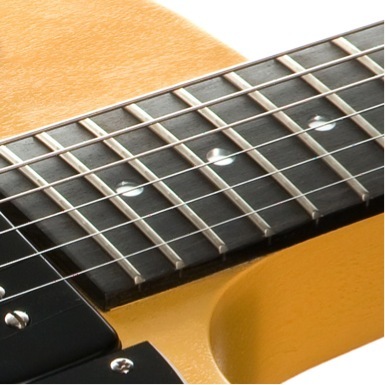 The string sits on “fret zero”, so even when not holding anything down, you get the sound of a string against a fret rather than just the nut. 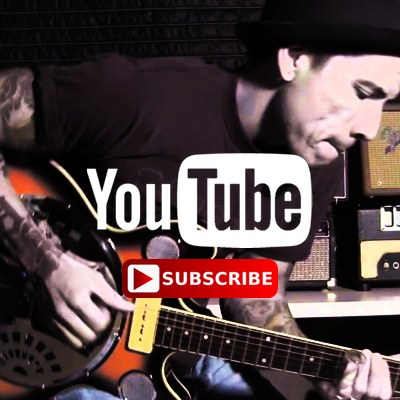 No matter the route you go for material, if you’re looking to replace a nut try and have someone custom make one for your guitar. It’s extremely important that this piece is done right! Technically you could use a variety of different materials for your guitar frets, but, unlike the nut, most guitars use either a “nickel-silver” or “nickel-steel” compound. Different levels of hardness can be achieved by adjusting the percentages in this compound. For a high quality fret, you want a very hard fret material. Harder frets are of course more difficult to work with for the luthier, but they will last longer by reducing the amount of fret wear caused by your strings. What’s more important when it comes to your frets is their shape and size. This is one component that really boils down to your playing style. 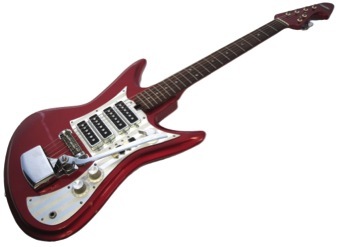 For quick and easy play, a tall and wide fret is very handy. The taller the fret, the less force you need to apply to make the string meet it. This can be a double edged sword if you aren’t used to tall frets. Yes, it will make playing fast runs easier, but it will also make playing notes sharp easier as you will likely be pushing too hard out of habit. You’ll need to adjust your playing a bit to really benefit from taller frets. Wide “jumbo” frets are well-liked because they tend to be easier to bend strings across, help greatly with vibrato, and typically feel smoother when sliding up and down the neck. 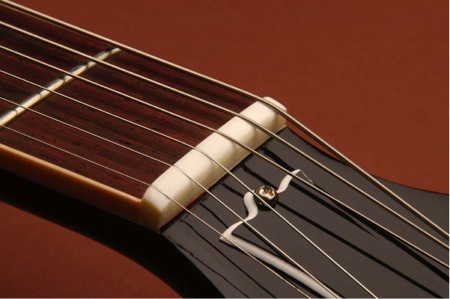 As a bonus, the fret won’t wear as fast as a thin fret as the string spans across a greater surface area. No matter the fret size you go with, proper maintenance of them is key. When your frets become worn (and they will), you will need to get them crowned and possibly levelled. 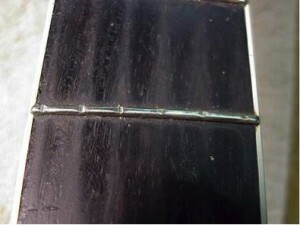 Fret buzz, dead notes, string grinding and poor intonation are problems that can be avoided by proper care of your frets. As always, experiment! Try things you may not have and see what works for you.